There are a couple of ways to describe Shaun and Wilson - serial entrepreneurs, the milkmen, dynamic duo and so on. 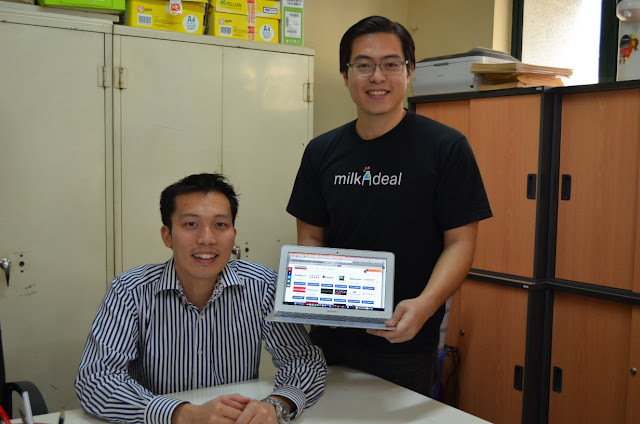 Over the years, they have co-founded a few e-commerce websites, the most well-known one is definitely MilkADeal, which was originally a deal site and it has been transformed to cashback site recently. It is our pleasure to have them sharing here on their story behind the MilkADeal transformation. How long has MilkADeal been around? We launched as a daily deal site in January 2011. Our Cashback site was just launched in May 2015 and the launch has been really exciting for us. So all in all, that’s more than 4 years now. Why did you transform the deals site to cashback model? We were previously in a position where we felt we weren't offering much value to our customers. We didn't have the biggest selection of products when compared to e-commerce giants like Groupon and Lazada, although most of our products were cheaper. After acknowledging our shortcomings, we actively sought to identify areas where we can add value to both our customers and e-commerce players within the industry. And that was how our Cashback business was born. How was the deals site business going before the transformation? As most people are aware, deal sites have come and gone over the past 4 or 5 years. I remember at one point, we had anything between 30 - 50 competitors in the market, with one new deal site launched every week. We had good friends who would WhatsApp us to tell us which new site has mushroomed up and by whom, so we know! We were lucky to outlive our competitors because we had a very loyal customer base (70% repeat purchase rate) who kept buying from us despite the options that they had. We believe we were able to achieve this through our personalised customer service. For example, we don't have 'agents' attending to customer emails. We have real people and real names responding to each customer query. So in a way, you can say that because we are small, we were able to play it to our strength and develop a good rapport with our customers. 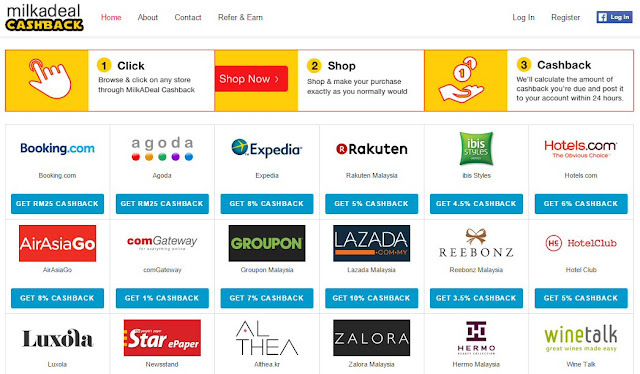 We relaunched as a Cashback site in May 2015. Prior to that, we could see sales weakening due to the post-GST blues. Read also: The numbers revealed: Groupon, MyDeal, LivingSocial and more! Was it difficult when you guys made the decision? The decision was not made overnight. We actually did a lot of research online as well as reaching out to established entrepreneurs from this space before deciding on the transformation. Once we had clarity over what we wanted to achieve, it wasn't a hard decision to transform at all. It made a lot of sense for the business. How did your team, partners, customers react to the transformation? Most people didn't understand the online Cashback business, so we had to educate our team and customers about it. The team was obviously excited about it because it’s a new concept. Some of our partners were quite sad because we were only able to service those who already have their own online store. Our customers’ reactions were quite mixed, some were quite excited as it would help them save more money when buying online while some are quite sad that they could no longer buy from our website anymore. How do you work with merchant partners, technically and commercially? With our merchant partners, our relationship with them comes down to an affiliate relationship. We allow merchants to offer a percentage to be given as cashback to our users for each purchase and we charge a small transaction fee on top of that which make up our revenue. Technology is important for us as all links out from us to our merchant partners sites are tagged so that we are able to tie purchases back to each individual users. At the end of each month, we will send out merchant partners an invoice for the sales generated from our users. Do you model your cashback business against successful foreign site? Which one is the biggest one you think? While there are a lot of sites in the US, Ebates is probably the most successful online cashback site at the moment. Rakuten paid a cool USD1bn to acquire it last year. QuidCo in the UK is another innovative cashback site, as they are constantly coming up with new product offerings for their cashback users. For Southeast Asia, it's still early days for this space. We see more cashback sites popping out in this region recently, why is it so? I think because on paper, it is an easy concept to grasp. It’s quite similar to the daily deals wave and the current marketplace wave. That being said, those who started will start to see why it’s only easy on paper, there are lots of issues that needs to be addressed. It’s going to be like the daily deals wave, some will thrive if they are able to solve problems, those who are not able to will simply vanish. How many cashback sites in Malaysia before you launch yours, and how many now? There hasn't been much change from before and after we launched our site. We think there's about 5 out there, before and after our launch. What are the elements for a cashback site to be successful? If you are expecting an easy answer it is cashflow. That will make or break most businesses. Being able to properly manage cashflow is key. On a more technical side, there is also the challenge of being able to properly track transactions flawlessly. This also includes properly educating users to follow the correct steps to complete their purchase and get cashback. How do you market (drive traffic to) your cashback site? Currently, we are depending a lot on our loyal customers to help drive traffic to our site. Referrals from them has been one of the strongest growth driver for us. It has worked well so far with our traffic and transactions increasing by 100% month-on-month. We are also looking to close more partnerships with various parties to hopefully help them bring more value to their users via our engine. Any case study with your merchant partner to share with us? We generally focus on bringing long term value to our merchant partners so that they experience a lift in sales in the long run. While there is no one special case study, our partner merchants have been coming back and telling us what to promote so that is a good sign. From our report, we could also observe rising sales across multiple merchants month on month so I think we are doing something right. What is your USP against other similar cashback sites? Like the daily deal wars, it’s quite hard to distinguish a USP between all the daily deals sites. We focus mainly on bringing the maximum value for our users. That means having an excellent customer service team, having the websites users want to shop at, providing them with timely cashout periods, letting them know every time their cashback is in, help them claim against partner websites if their cashback wasn’t awarded and many more. All of a sudden, it doesn’t really look like an easy business to be in already right? Well somebody has to do it. You guys are serial entrepreneurs, what is your biggest lesson or thoughts for all the ups and downs? From what we have seen, the business environment changes all the time. So one needs to be able to adapt, innovate and change to survive (or have sufficient cash in the war chest to weather it!). It's been a game of brawn and brains really!